The Bayfield Agricultural Society is planning its second “Breakfast on the Farm” on July 15 to promote getting the general public on a farm and learning where their milk comes from. In addition it is an opportunity to bring awareness of the other local crops. 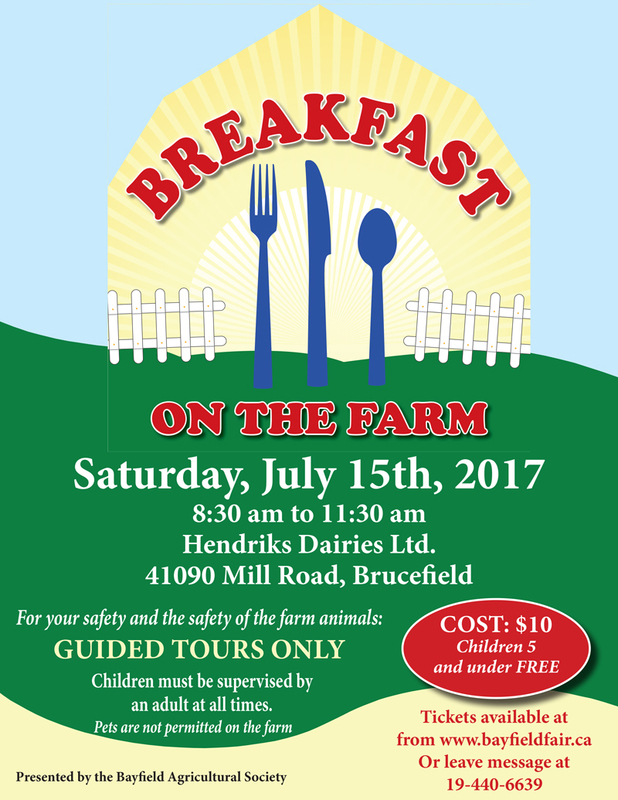 This year the visit will be to the Hendriks Dairies at 41090 Mill Rd. thanks to the owners Tyler & Emily, and Henry & Patti Hendriks. The farm is a new 95 Jersey milking cow operation just East of Brucefield. The hearty breakfast will be put on by the Londesborough Lions Club and will a great way to start a Saturday. It is expected that several commodity groups will have displays also. Tours will be continuous all morning.